Talk about a focal point! This vivid combination of blooms will surely become the center of attention on any holiday table or mantel. A square dish planter provides the perfect stage for pink roses, a yellow Asiatic lily, white daisy poms, athos poms and lavender carnations. 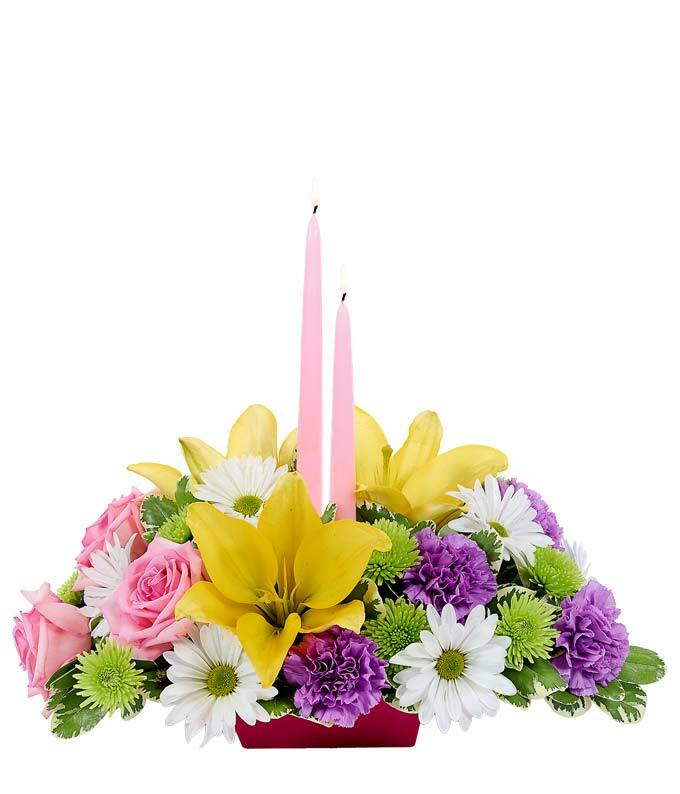 These pastel flowers make the perfect Easter centerpiece with tapered candles and delivery same day.